This variety of Red Chilli Powder provided by us is ideal for preparing any kind of dish or curry. 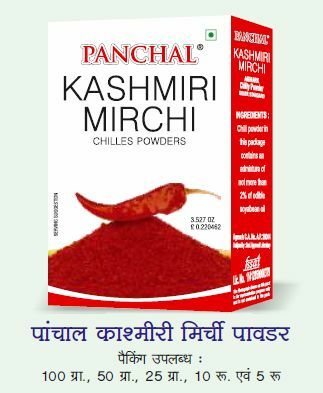 We are widely acknowledged for manufacturing, exporting, and supplying a premium range of Kashmiri Red Chilli Powder. The clients can avail this variety at market leading prices.